1. Save yourself some time and a whole lot of mess by using fully cooked bacon. Just warm it for 20-30 seconds between paper towels in the microwave. 2. Make sure you buy LARGE tomatoes. Big enough that one slice covers the entire sandwich. 3. Save more time by using a bag of ready to use romaine lettuce. Major plus because you won't have to rinse, dry or chop the lettuce. 4. 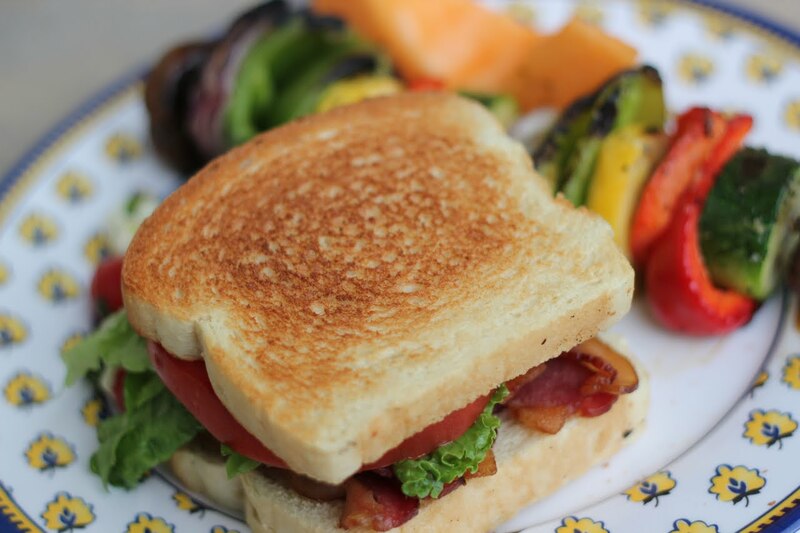 Whichever bread you choose to make your BLT's with, make sure you lightly toast it! An absolute MUST! 5. Whether you're a mayo or miracle whip fan, be generous with this Good Stuff! BLT's are kind of lame for me because they're just B's. And nobody knows what you're talking about when you go into a restaurant and order a B.
Hahaha! Haley, you make my day! You are so dang funny!